11.42 Acres - Zoned Natural Resources industrial (NRI). 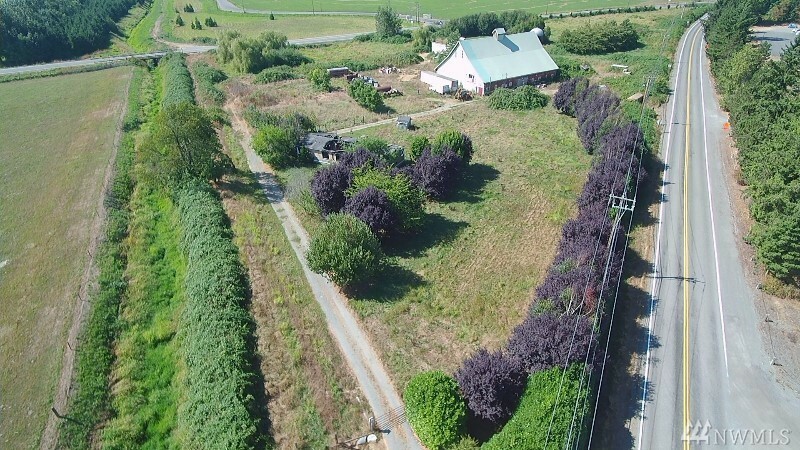 Frontage on Old HWY 99 & Kelleher Road, City Water + Well, Installed Septic & Power on property. HUGE older 10,000 SQFT Barn plus a few more outbuildings. Former homestead property with mature landscaping. Many development uses: Agricultural, Forestry & Marine Related Businesses, Wholesales & Retail Nurseries, Animal Clinic, Storage, Offices... plus many more. This property as sold for $1.425M in 2009. At $595k this is a bargain. Selling Office: RE/MAX Whatcom County, Inc.